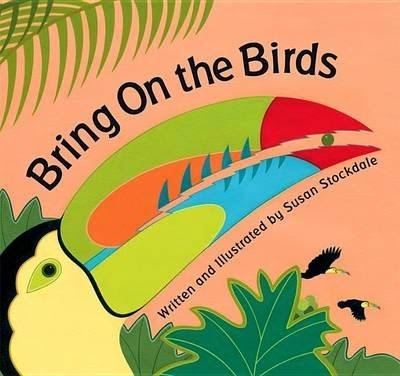 Author and illustrator of Fabulous Fishes, Susan Stockdale delivers another colourful and fun book, this time focusing on our feathered friends. This is a good introduction for young children into the world of birds, showcasing their different sizes and shapes, different colours and habits. Written in simply rhyming text the book is a joy to read out loud. But what makes it more exciting is the bright visuals. Created with acrylic paint, the illustrations are crisp and clean, very simple and relatable for small children. The majority of birds will be new to Australian children (such as the woodpecker and roadrunner), but there will be some that they can readily identify. In fact my own grand daughter loved the double page spread of the peacock. The back pages also contain snippets of information on the birds in the book. Making it a jumping off point if children want to learn more about a particular bird. Ideal for preschool and younger readers.